As a well-trusted collaborator, we were thrilled when Landstone Construction owner Marc, and his wife Phillippa, asked for help with their own project on the Greek island of Paxos. This tiny island, just a ferry ride from Corfu, was the same spot where the couple first met over twenty years ago. Now holding a special place in both of their hearts, and holiday calendars, they wanted to make their own mark on the island. After snapping up a small Greek ruin, Villa Aspro Alogo, Marc and Phillipa approached Märraum to bring life to the building’s shell. The idea was to transform the blank canvas into a cosy holiday home that would make careful use of every inch of space. This would make the ideal environment for shading from the burning summer heat, and hunkering down in the colder months. Room was not something we had to play with, so we carefully developed drawings that plotted out a double bedroom mezzanine, kitchen and dining area – creating a functional and charming living space. This would make the ideal environment for shading from the burning summer heat, and hunkering down in the colder months. Armed with our intricate 3D drawings, the bulk of their materials and their talented team, Landstone Construction shipped themselves out for a working holiday under Greek skies. A ruin renovation overseas was never going to be a walk in the park. But despite a couple of days queuing in various officials’ offices in Greece, after just three weeks of construction, the transformation was complete. The Landstone team enjoyed the process so much they’re now working on their next Paxos project. And we’re proud to call ourselves part of the team again. 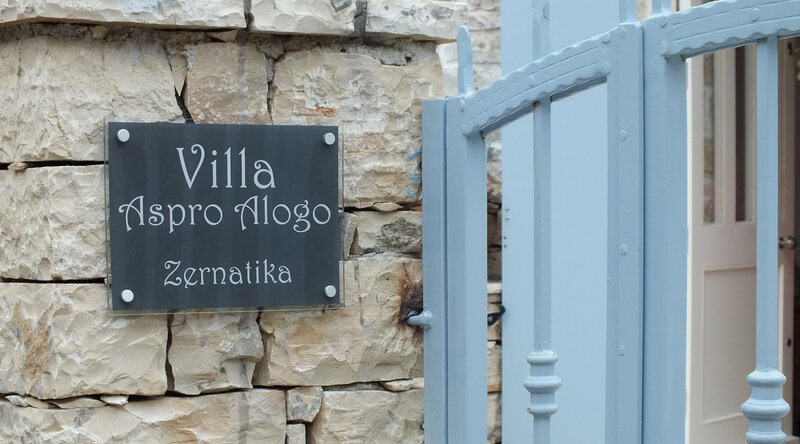 If you’d like to experience a Greek holiday getaway in Villa Aspro Alogo, the house is available for rent via Scott Williams holiday rentals.